Strawberry Chic: Our Best Bites Giveaway! Have you heard of "Our Best Bites?" 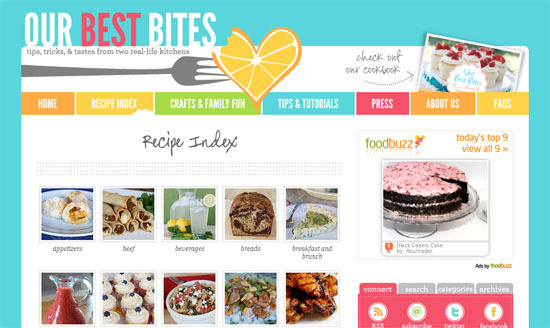 Well, in case you haven't its a fabulous blog known for its wonderful recipes and tutorials! Sara & Kate (shown below), the creators of Our Best Bites, created their blog to show readers that "cooking at home can be a delicious, fun, and easy way to express yourself and to care for your families and friends." 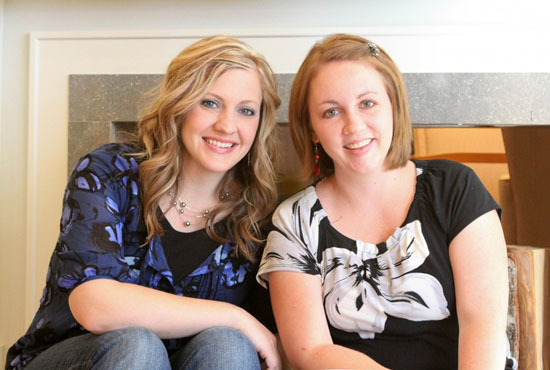 Lucky for us Sara and Kate decided to compile some of their best recipes (from their blog along with many new) into a cookbook called "Best Bites - Mormon Moms in the Kitchen." and one lucky reader will be given a free copy for their enjoyment! One of the things I love most about this cookbook is the lovely pictures given for each and every recipe (I don't know about you, but I hate trying new recipes when I don't know what the end result is suppose to look like). I also love that the recipes in this cookbook all look delicious and simple. In fact, there isn't one recipe in the book that seems to difficult to make or too "out of my cooking league" if you know what I mean. They also have various cooking tips and tricks that I have found very useful! 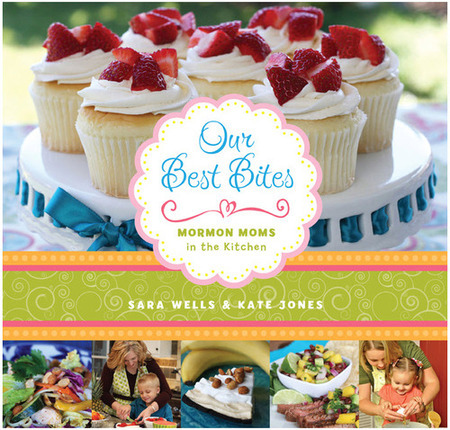 Here is how you can win a copy of "Best Bites - Mormon Moms In The Kitchen!" 1st Become a follower right here at Strawberry-Chic! 2nd Visit Our Best Bites and browse through their recipe index, then come back here and tell me which recipe you would be interested in trying. The last day to sign up for the giveaway will be this Saturday, the 23rd and the winner will be announced on Monday the 25th. By the way, check out my next post to see if you won the stripped stray giveaway! Oh pick me. please pick me. I adore their holiday section! I would love to try their chicken tortilla soup! I recently found your blog and love it! I am now a follower! I also "liked" Strawberry-Chic on facebook! I WOULD LOVE TO WIN!!! i would love to try the 7-layer greek dip! and holy cow i have to try thatcheesy-garlic herb bread @ ourbestbites! I want to try the quinoa edamame salad. We have been eating a lot of meat free meals lately so this would be some great protein! I want to try the cookie pie!!!!! I've been wanting to try their Zucchini Cheese Quiche! I'm a follower of yours on facebook too! Id love to try their stuffed peppers! Sounds delish! And Im a new follower... cute blog! I would love to try the Apple Pie Ice Cream they have--sounds delicious! The Smoked Turkey and Artichoke Panini looks amazing! I need to try this! I eat a sandwich everyday for lunch so it is always great to try new ones. "Coconut banana bread with lime glaze" looks srumptous! i'd like to try it.